The images in this on-line exhibit are from the Shirley Savage Jones Collection and the Center's own collection. Click on individual images to see a larger view. 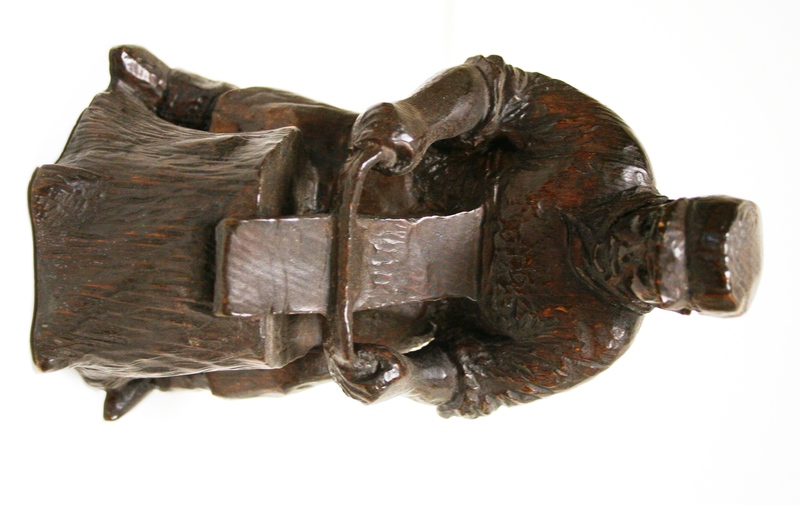 Jim Savage’s love of carving was passed down from his father, Amos, and his grandfather, Thomas Morris. His father whittled songbirds and made beautiful furniture, and Thomas Morris was a skilled craftsman at the quartzite quarries east of Sioux Falls, SD. 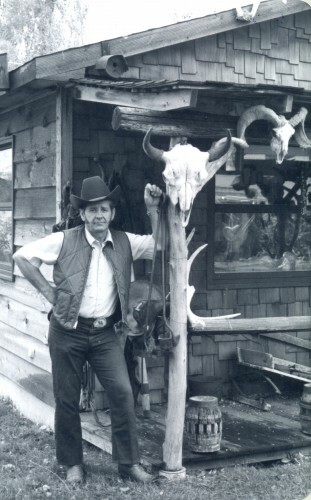 Jim is pictured here outside his workshop in 1970, near the beginning of his artistic career. 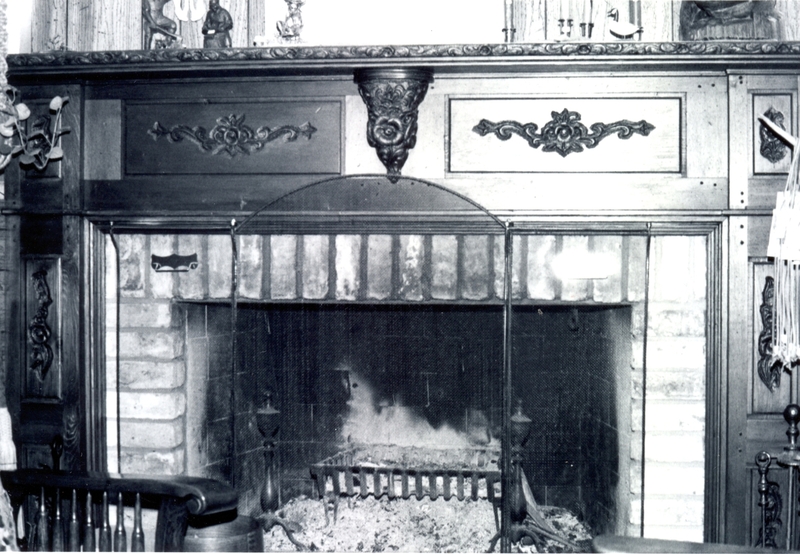 Although Savage had no formal artistic training, he understood wood having worked as a finishing carpenter for 20 years. During those years, his artistic interest inspired him to create more decorative works such as paintings and fireplace mantels, one of which is depicted here. 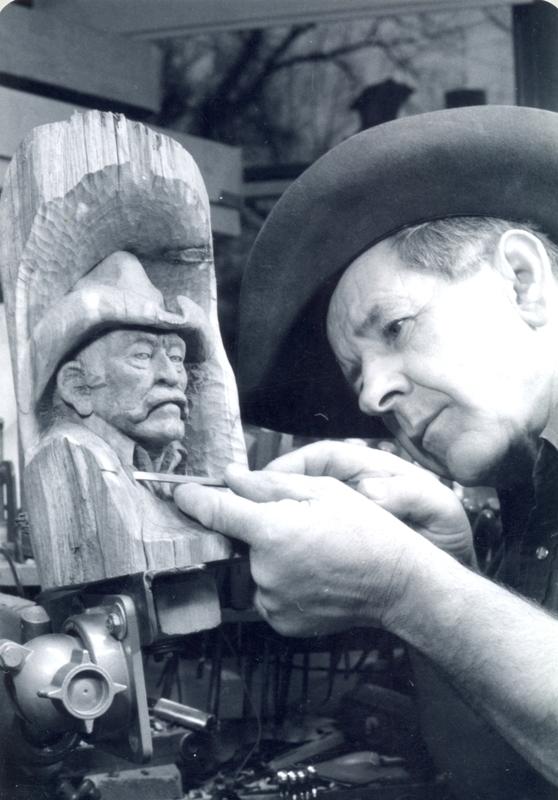 Jim created his first carved sculpture in 1969. 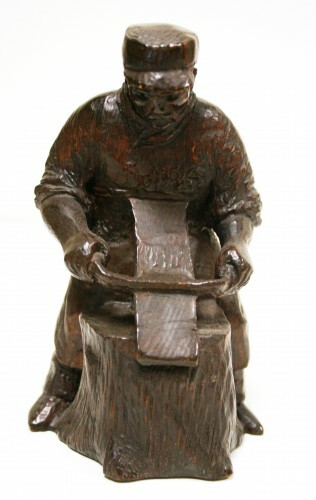 Man Using Antique Tool, at left, is made of stained pine. In December of 1972, Jim became a full-time woodcarver. 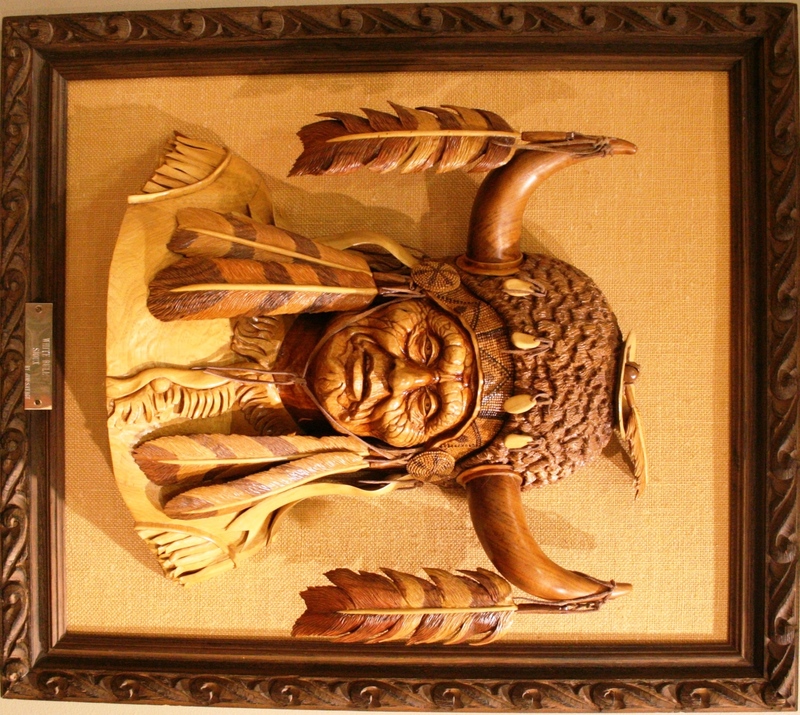 His early pieces were made from red cedar fence posts that he obtained from South Dakota farms. 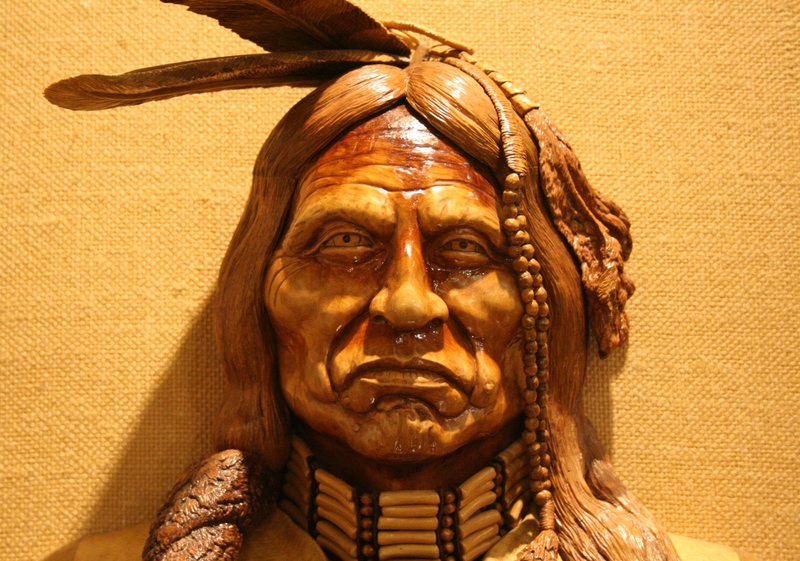 Primarily working with South Dakota wood, many of his pieces are made from red cedar or walnut. 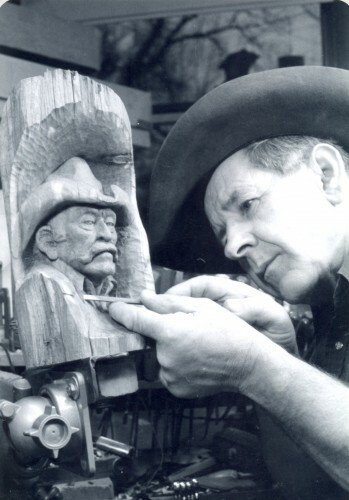 The image at right shows Jim skillfully carving a cowboy from a fence post. 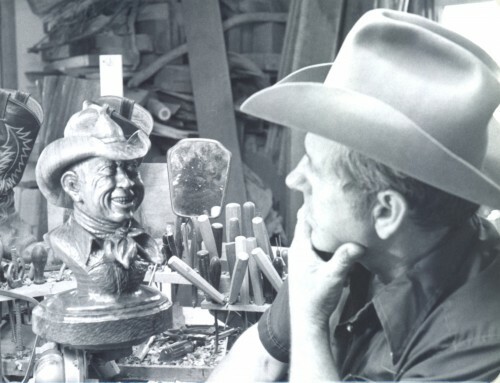 A popular theme in Jim's work is the caricature of the cowboy. Their expressions are copies of the faces Jim would make in a mirror as he worked. Another popular theme of Jim's work is Native American heritage and culture. 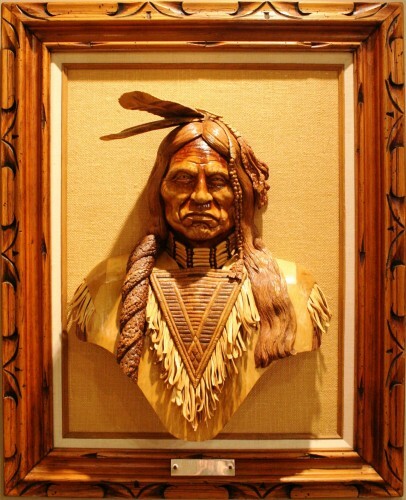 Completed in 1976, 2,200 pieces of natural color wood came together to create this sculpture of Sioux warrior White Bull. 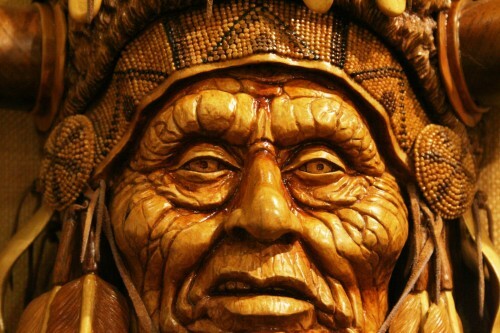 The beaded headband alone contains 1,920 small pieces of hand-placed wood. White Bull won the Gold Medal for sculpture at the outdoor art show in Prescott, AZ, in 1976 against the work of 33 other bronze artists. A nephew of Sitting Bull, White Bull participated in the Battle of Little Bighorn in 1876. Oglala Chief American Horse led his people in defiance of the U.S. Army and died in the Battle of Slim Buttes in the Black Hills of South Dakota in 1876. 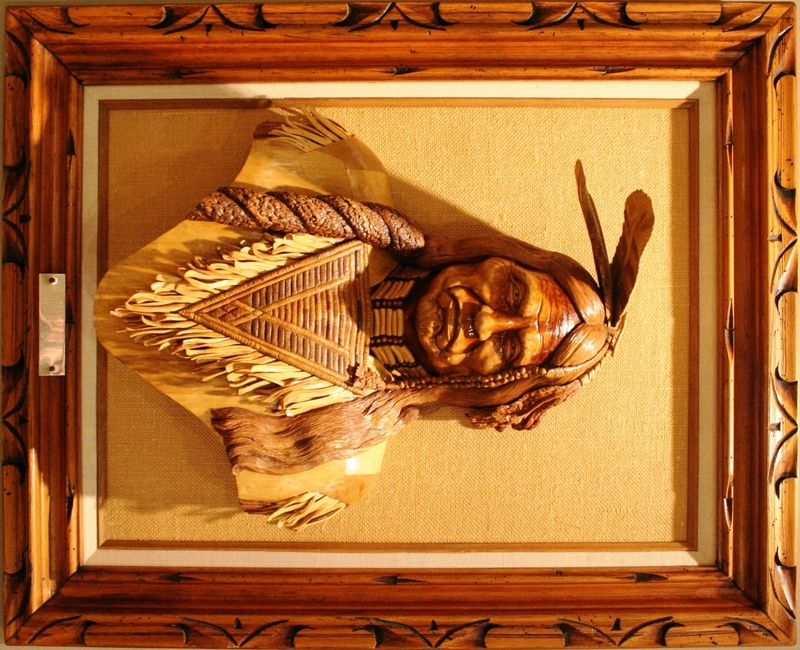 Carved a century later in 1976, Jim Savage's American Horse consists of more than 500 individual pieces of 16 different types of natural color wood. 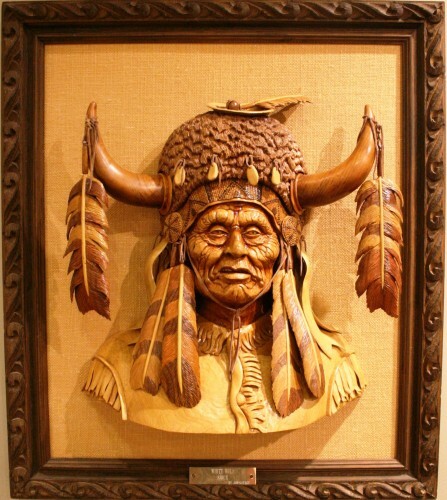 It won third place for sculpture at the Western Heritage Art Fair in Littleton, CO, in 1977. Learn more about the studio where Jim created his masterpieces.